Once again music lovers descended on the Hill Country for a weekend of fantastic music and wonderful weather. This year’s Old Settler’s Festival showcased a wide range of artists spanning an even wider range of genres. What brought everyone together was the enjoyment of this long-running festival that refuses to sell its soul to marketers in order to guarantee that each year’s experience is just as great, if not greater, than the previous year. This became immediately evident as you strolled the intimate festival grounds and saw only smiles as people wandered cheerfully between the Blue Bonnet and Hill Country stages, running into longtime friends while even making new ones. Linking everything together was a shared love of music and the gift of savoring it in such an ideal setting. Friday night may have been the strongest when it came to the lineup. Holding down the Hill Country stage as the second to last headliner was none other than the actor Jeff Bridges who, since his role as a struggling musician in the film Crazy Heart, has found a passion for playing music. 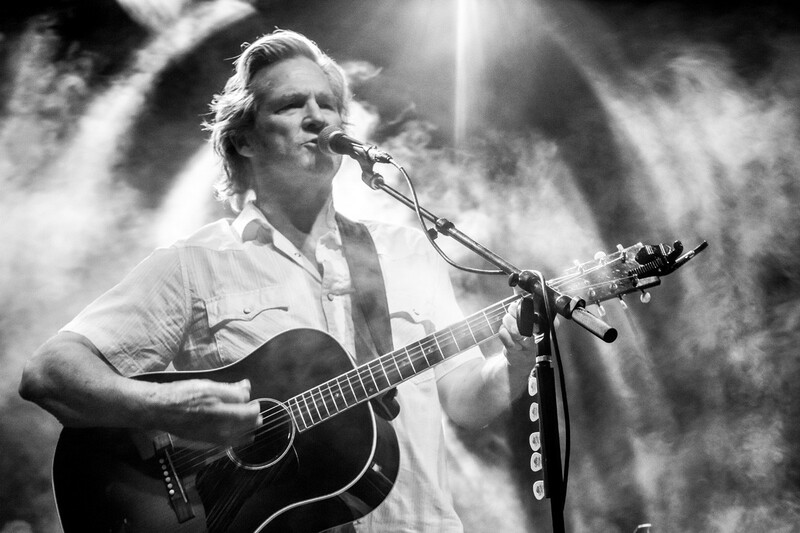 On tour with his aptly named band the Abiders, Bridges has placed his focus on playing a country-oriented catalogue, which includes songs from Crazy Heart and predictable covers from folks like the late Stephen Bruton and T-Bone Burnett. Despite having starred in loads of quality films over his long career, Jeff Bridges is definitely most well-known for his role as stoner extraordinaire The Dude in the Big Lebowski, and it was this novel that drew such a large crowd for his performance. Unfortunately, it didn’t take long for the novelty to wear off and realize that it might be best for Bridges to stick to acting. 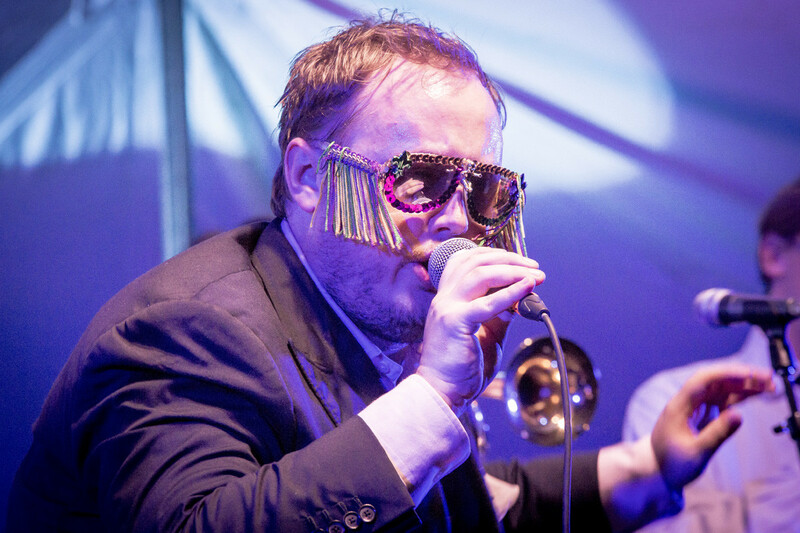 Over on the Bluebonnet stage the audience swooned, swayed, and danced along to a set from Alabama band St. Paul and the Broken Bones, a breakout act at this year’s SXSW. These soulful youngsters made their way through a set consisting mostly of songs off their recent full-length debut Half the City, yet the real highlights came from two covers – Sam Cooke’s uplifting “A Change Is Gonna Come” and The Beatles classic “Hey Jude,” the latter of which was famously covered by Wilson Pickett during the height of his Muscle Shoals days and was a perfect way for the band to show off with their Alabama roots. 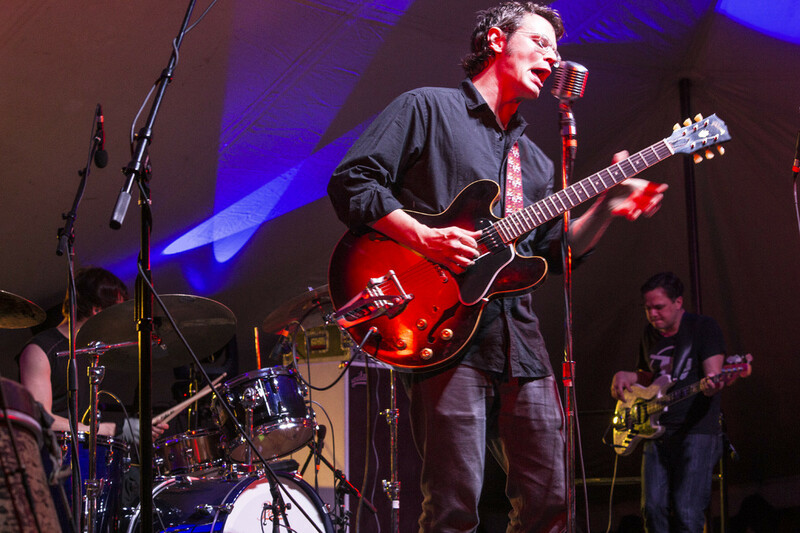 Wrapping up Friday night on the Bluebonnet stage was another band of Southern gentlemen, the North Mississippi Allstars, who charmed the lively crowd with their Memphis-influenced kudzu boogie. These days the trio often plays with a different bassist, but brothers Cody and Luther Dickinson are the glue and musical core of the group. The Allstars played to their audience and show yet again that they are capable of delivering a quality and energetic performance each and every time they play, and Friday’s set was no exception. Saturday’s lineup may not have been as strong as Friday, but it certainly contained enough gems to make it through the day with a smile on your face. Old Settler’s veteran Peter Rowan and his Twang An’ Groove band accentuated a superb spring afternoon with their chilled out desert hippie folk, only to be followed up by Colorado band Elephant Revival, who played the main stage earlier in the day as the result of a schedule mix-up brought, and whose light harmonizing and skilled musicianship conjured up only the highest spirits from a delighted crowd. Later in the day singer-songwriters and multi-instrumentalists Tim O’Brien and Darrell Scott played a special set on the Bluebonnet stage, intertwining leads on banjos, mandolins, and acoustic guitars as they swapped duties singing one country-influenced folk tune after another. 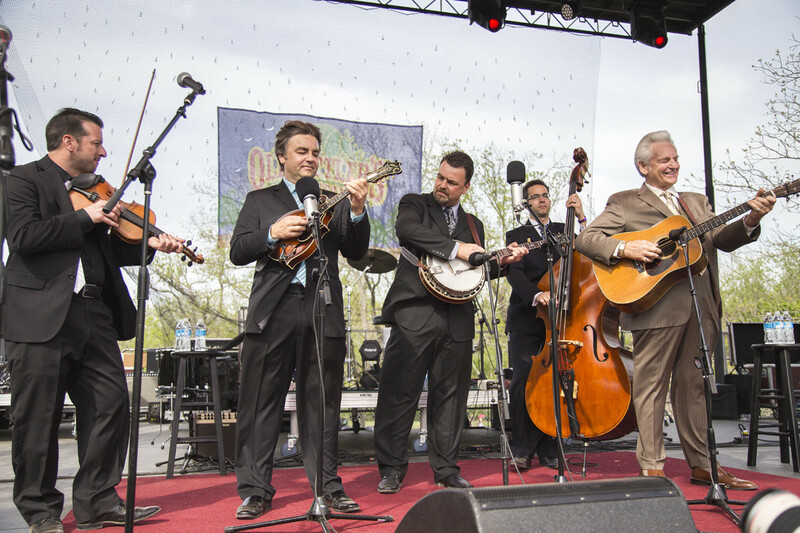 Back at the main stage the Del McCoury Band had the crowd kicking up dust while they played a set of traditional bluegrass with a touch of Nashville flash. As night fell the Devil Makes Three continued the acoustic theme of the day with their own brand of gypsy and vaudeville-styled bluegrass. 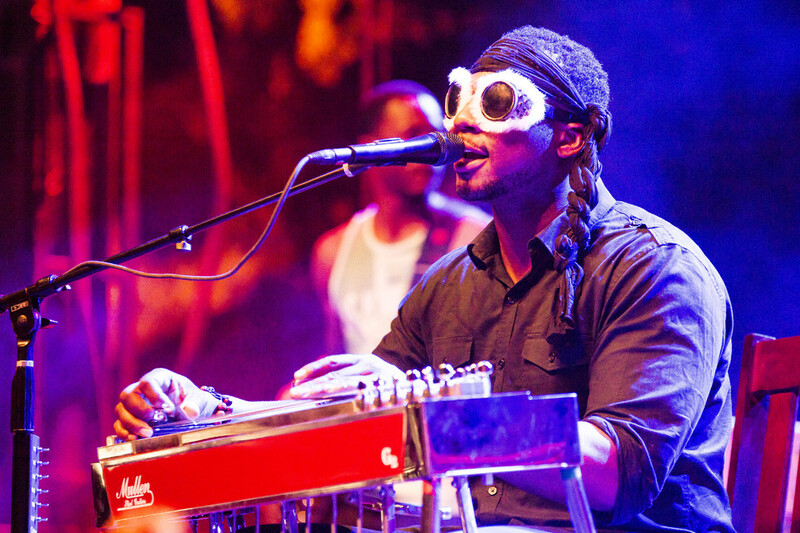 In the final stretch of the big festival Saturday and running decently behind schedule, Robert Randolph & the Family Band cranked up the amps and blasted festi-goers with a set of their unique pedal steel-driven and gospel-influenced rock. Though somewhat generic in sound, Colorado rockers Big Head Todd & the Monsters kept the party going with their simple but pleasing jammed out blues-funk. Carrying out what is somewhat of a Old Settler’s tradition, Kevin Russell and his band Shinyribs made up for a lack of Gourds with a closing slot on the Bluebonnet stage where they proceed to infect just about anyone within earshot with a need to drop everything and start dancing immediately, thus making for a perfect closer to an excellent couple days of music and exactly the right way to send the good people exuberantly off into the night’s revelry. Old Settler’s is what a festival should be; simple, properly sized, stocked with excellent bands, and held in an environment where it is nearly impossible not to enjoy yourself. This year’s lineup definitely featured a number of repeat offenders, but by no means was it a disappointing weekend of music. 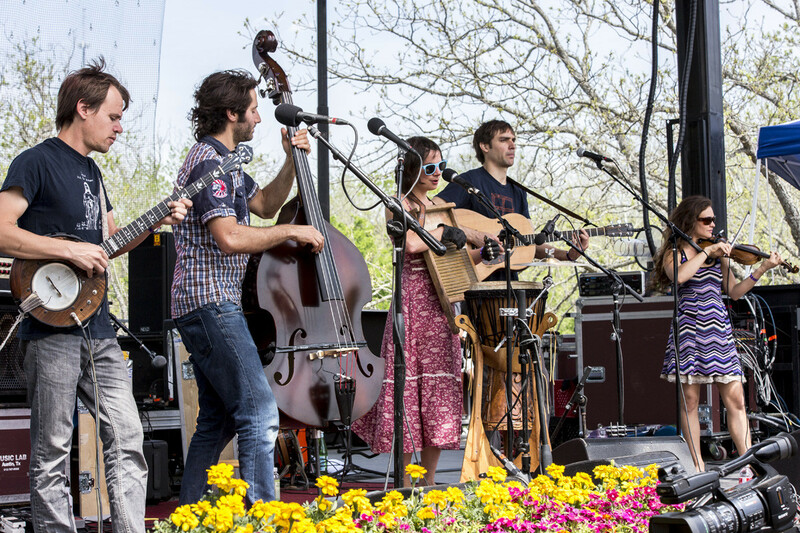 If anything, the willingness and desire bands and audiences feel to return to the Salt Lick Pavilion every spring is exactly what makes Old Settler’s one of Austin’s best dang music festivals!